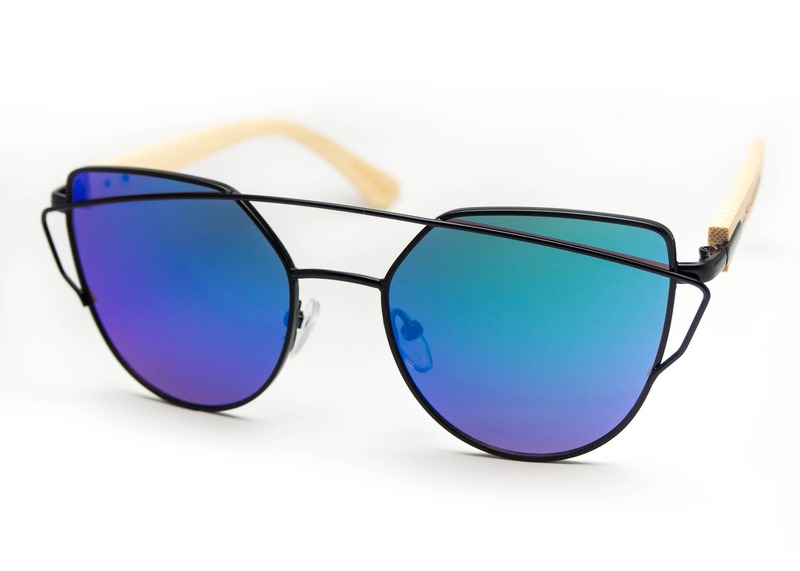 - Black sunglasses frame with mirrored lens offering unique green/purple/blue gradient colour, gives you a one-of-a-kind look. Shipped and received them the very next day! I love my new sunnies!